Recently, PCAnywhere met a serious security glitch. Users were advised to disable the software until they could issue a patch. This issue was cause by theft of the source code way back in 2006. Well, it seems that things are safe again, as Symantec has issued the update that aims at fixing the vulnerabilities and bringing the program back to its former glory. On January 25th they issued the patch for version 12.5 of PCAnywhere and on the 27th, the patches were made available for versions 12.0 and 12.1. Customers lacking the newer versions can contact Symantec directly at pcanywhere (at) symantec (dot) com. For those unfamiliar, PCAnywhere is a remote desktop software for businesses. Obviously, any vulnerabilities could be catastrophic for the business owner, which is why Symantec advised people to stop using the program until they could properly address the issue. If you were unable to stop using PCAnywhere, due to it being a vital part of your business, you can now breath a sigh of relief in the fact that everything should be safe again. It’s thoroughly impressive how quickly Symantec got this update out. In a matter of a few days they went from not knowing they had a problem, to having the problem fully resolved. If you are a PCAnywhere user, make sure to download the latest patches as soon as possible to keep your system safe. 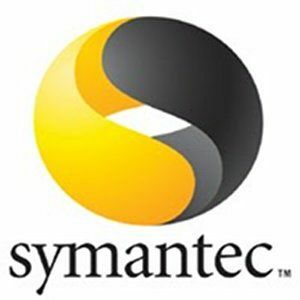 "It’s thoroughly impressive how quickly Symantec got this update out"
If the vulnerability was identified in 2006 and they are just now getting around to patching it, how is that impressive? or am I missing something?